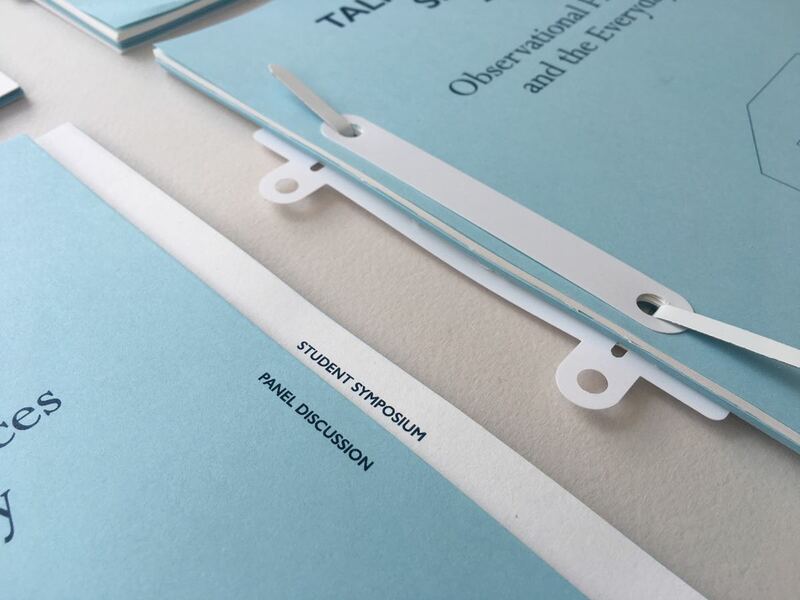 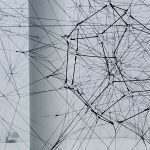 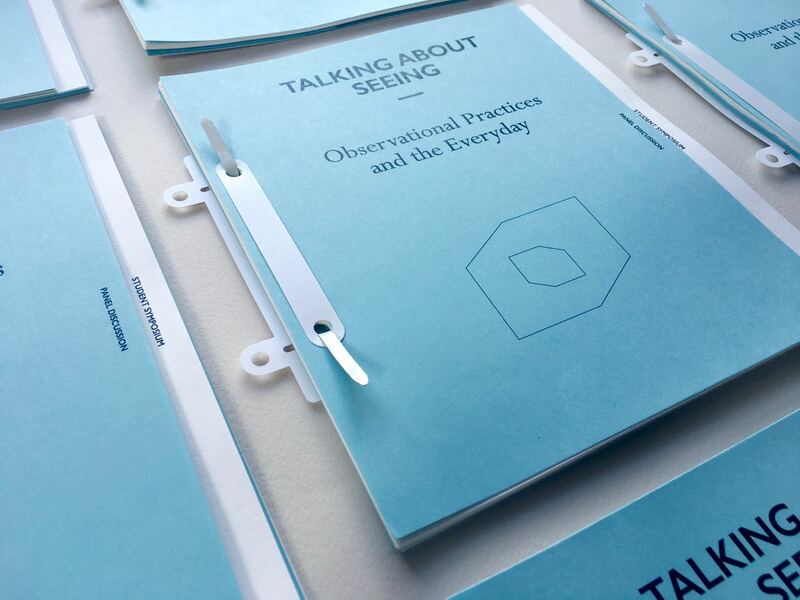 The documentation of the Symposium “Talking About Seeing” is now available. 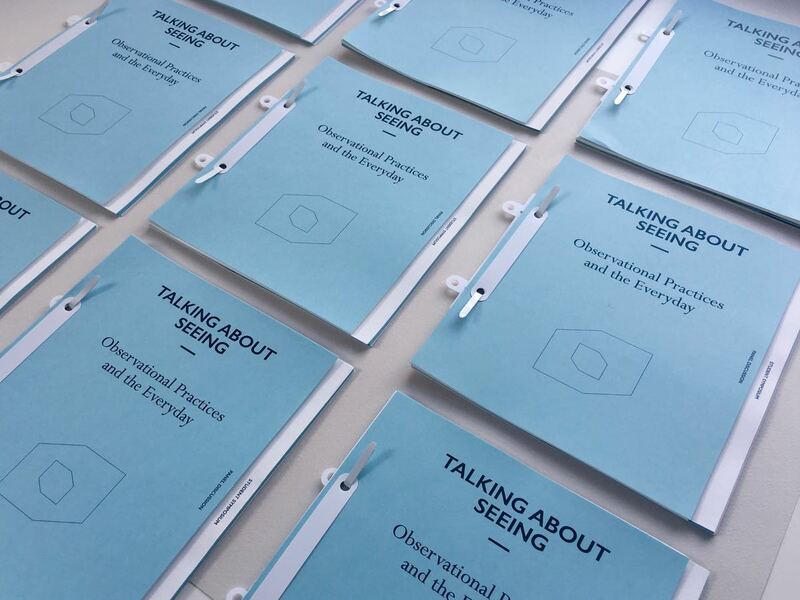 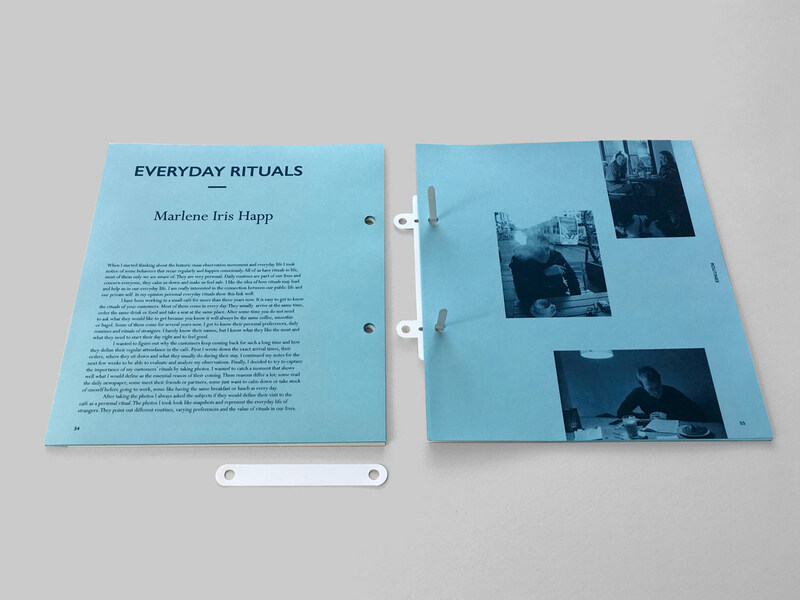 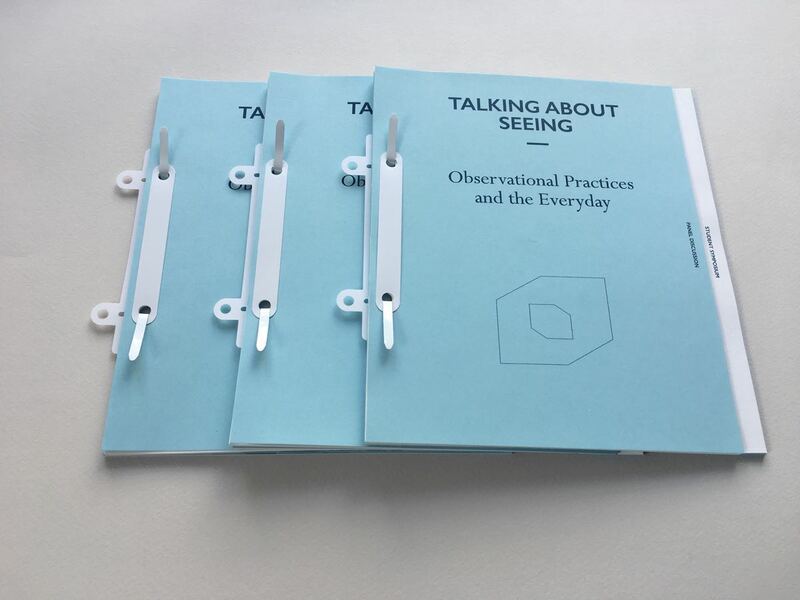 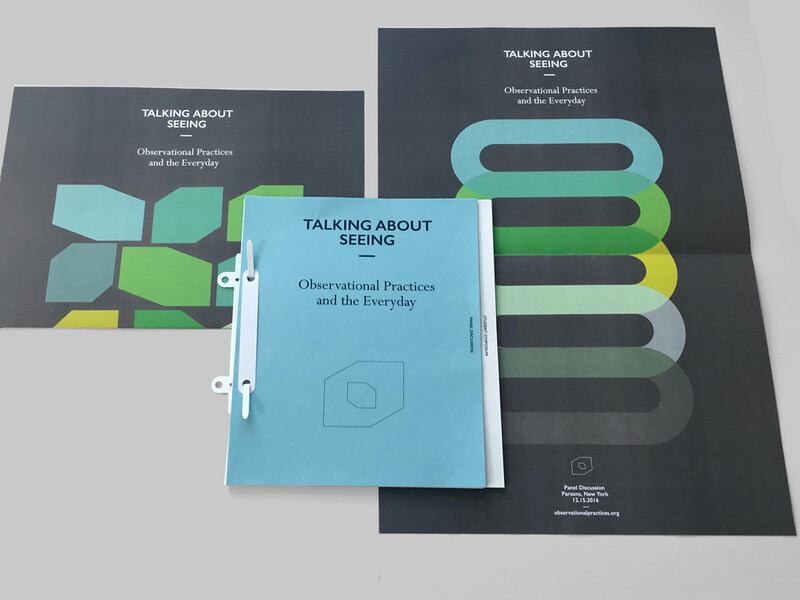 The publication combines a transcript of the panel discussion Talking About Seeing with experimental research drafts from students who investigated observational practices in the context of the everyday at Parsons School for Design and the Institute for Art and Art Theory at the University of Cologne. 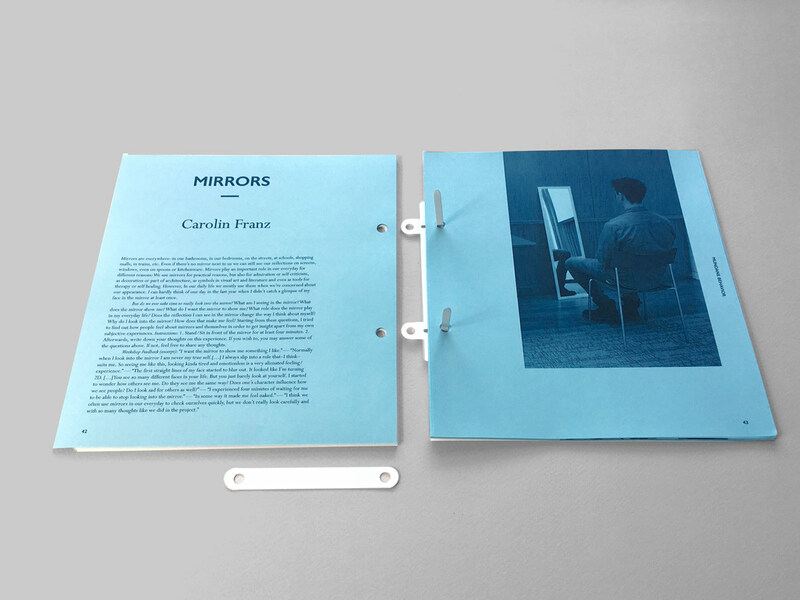 It is published digitally and free to the public. 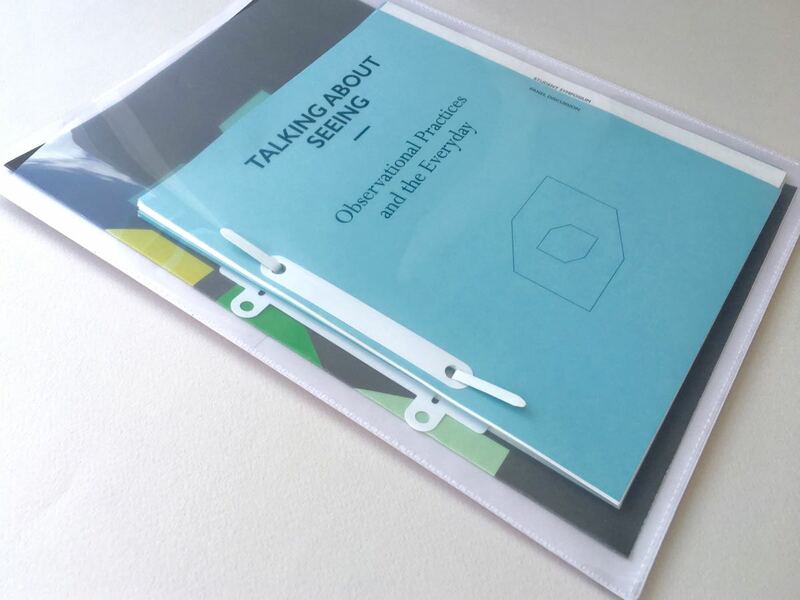 A small run of printed copies has been published Summer 2017. 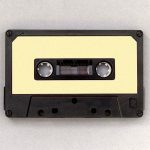 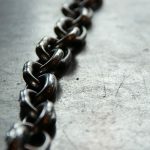 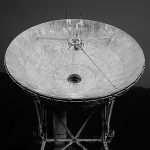 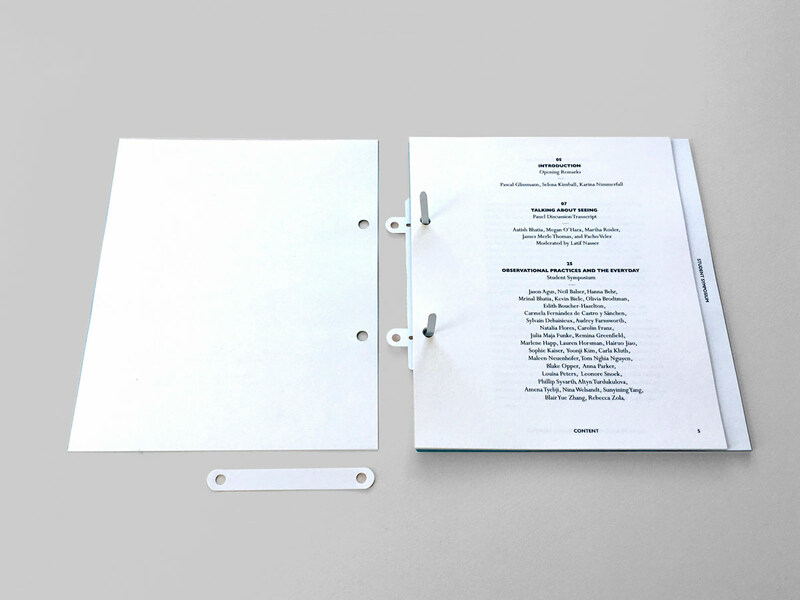 The publication is not only a hybrid in terms of content. 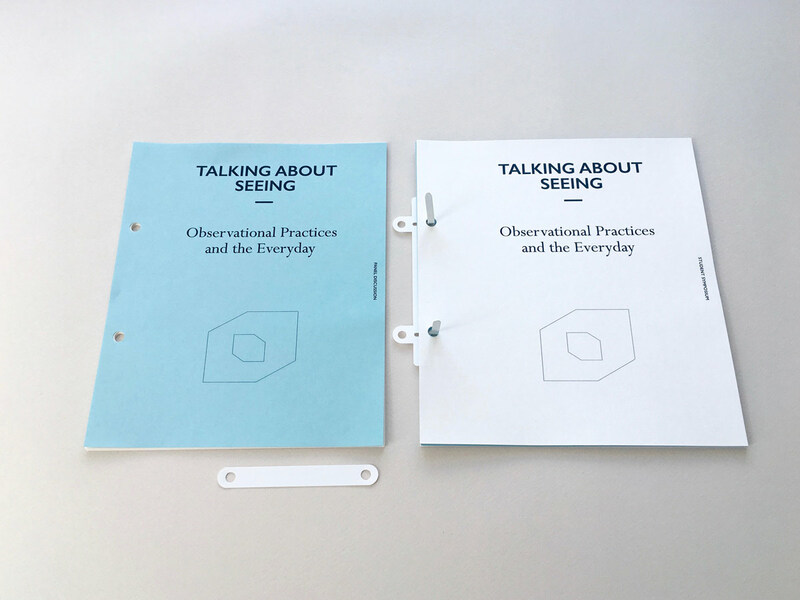 It also combines art book paper with a simple blue craft paper to express the transdisciplinary approach of this investigation that bridges between social & natural science and the arts. 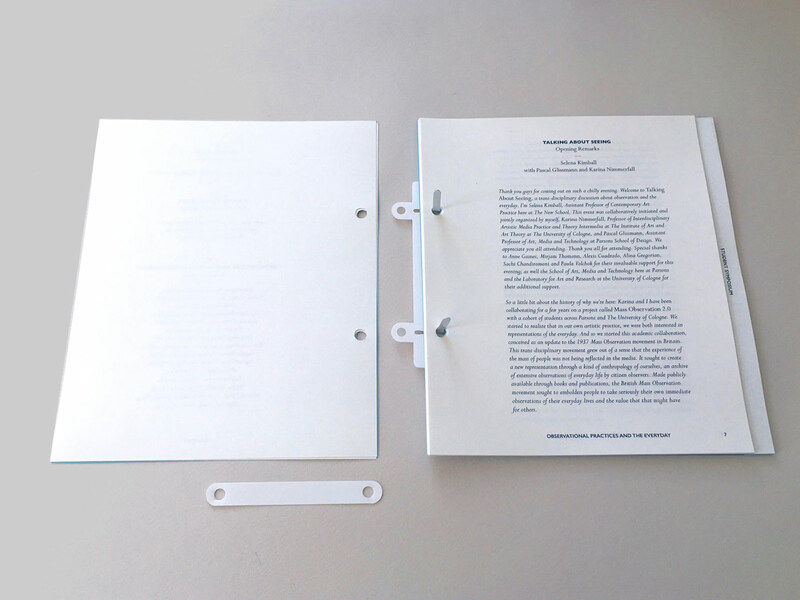 The binding is inspired by the ongoing dialogue and the process-oriented nature of this investigation. 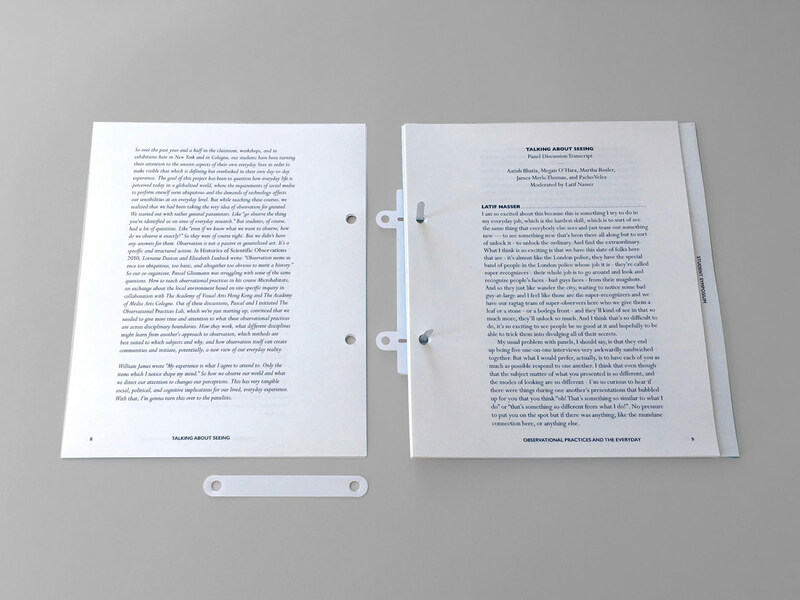 Pages, personal forms, and public findings can be added between any two pages to disrupt the “report” with new perspectives.